Thank you very much for your kind comment, Allen. Judy, thank you for featuring Bleacher Seats in the USA Photographers ONLY group. Thank you for your complimentary comment, Robert. Much appreciated. Thank you, Anne, for your thoughts about this image. 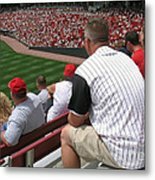 So glad you enjoyed this image of the throngs of people enjoying the game. Ann - I like all of your photographs. The gallery, entitled Americana, is rich with good-feeling American images. With July 4th coming soon, I feel very patriotic. Of course I usually feel patriotic, but now more than ever. 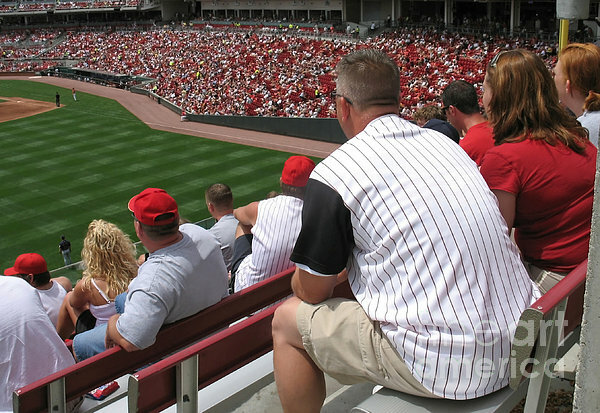 Baseball is a a GREAT example of Americana, as is apple pie and the Stars & Stripes. Love your other work too. Shine on, Anne in Virginia, USA "Put me in coach, I'm ready to play". Really like this, Ann. It really caught my eye. 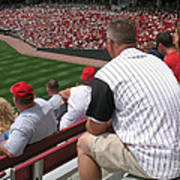 Cincinnati Reds baseball fans watch the game down on the playing field from their bleacher seats in the sun. Cincinnati, Ohio. Copyright 2007 Ann Horn. ALL RIGHTS RESERVED. This copyrighted image does not belong to the public domain and may not be reproduced, copied, altered or manipulated in any way without the written permission of Ann Horn. ann-horn.pixels.com. pixels.com Group Features: USA Photographers ONLY.